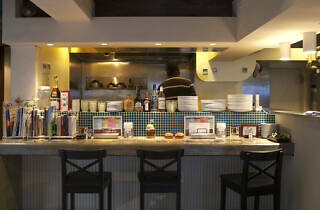 Run by the affable Mr Sato, a devotee of burgers and music, Authentic makes a strong claim for best burger in Akasaka. The patties here are made from 80% red meat and 20% prized, fatty wagyu beef seasoned only with pepper and salt and put together without a binder. 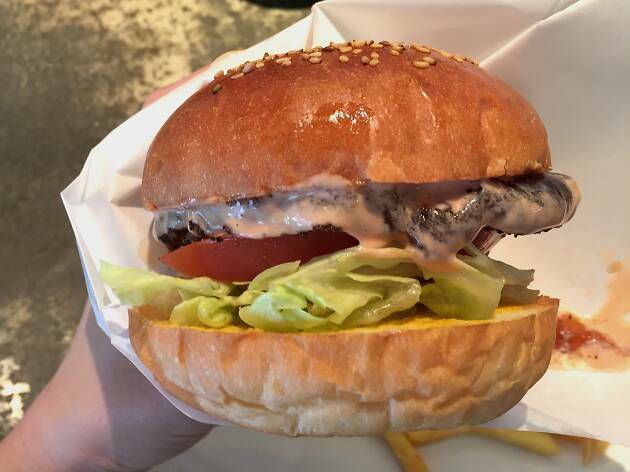 To add to the succulence of the burgers, they make their own sauce aurore in-house and source tender, bite-friendly soft buns from a bakery in Shinbashi. 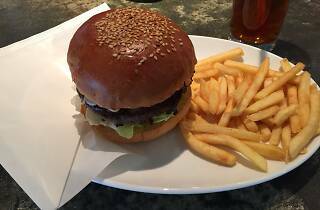 Authentic’s showpiece burger is the Broccoli Cheese (¥1,300), which brings crunchy broccoli together with creamy Monterey Jack cheese. Needless to say, this shop has its own unique character, tasty burgers, and because of the combined power of location and good food, attracts quite a few diners every day. Authentic is closed only for the New Year's holiday and during Fuji Rock (a priority for Mr Sato, we hear). 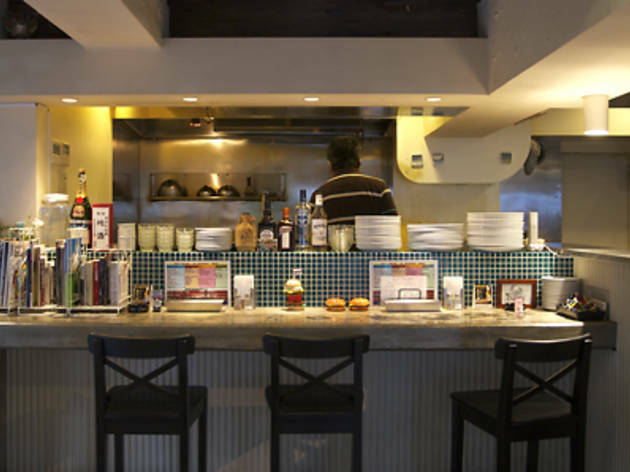 Repeat customers are encouraged to use the funky point card system. Love Authentic. Was introduced to it by a friend even though it was only a 15-minute walk from my office at the time, just never realized there was a good burger place in the area. It's not that easy to find for those who are unfamiliar with back part of Akasaka. Sato-san is a very nice person and he obviously takes a lot of pride in his food. 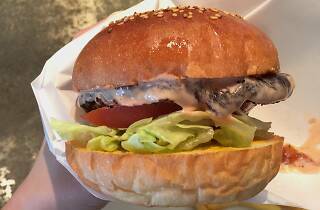 The burgers are some of the best in Tokyo but I never knew there was wagyu in the meat until I read your review. 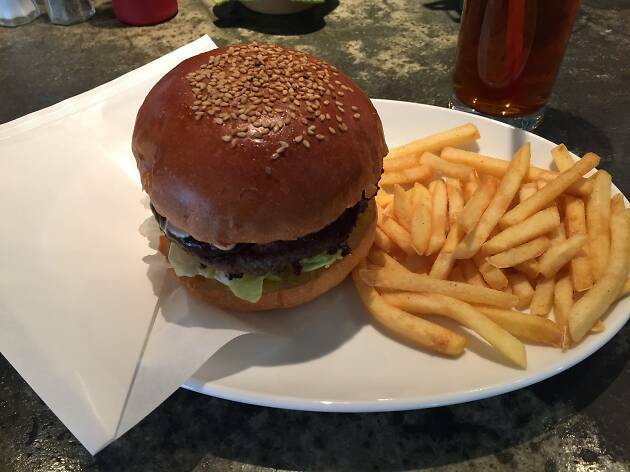 The buns indeed are a nice part of the burgers, always fresh and always the best. I usually ordered the cheeseburger (no longer live in Tokyo) but on occasion went for the avocado burger. One thing they could do better IMO, change the fries. Not in love with those slender shoestring fries they use. Hand-cut would be best but hardly anyone does that in Japan.